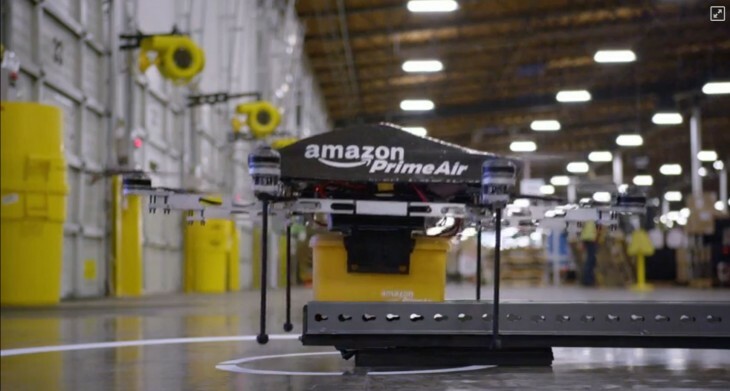 It’s no secret that Amazon is seriously considering using drones to deliver packages across short distances, and now it has taken a clearer step towards reaching that goal. The company today unveiled a proposal to designate a portion of the airspace above suburbs and cities for drone delivery. The proposal suggests high-speed drones be limited to an area covering a height of 200 to 400 feet off the ground. Another 100-foot area above this corridor would be designated as a no-fly zone to act as a buffer against other traditional aircraft. Meanwhile, the area between the ground and the high-speed drone airspace would be designated for low speed traffic, where there’s a lower risk of something going astray. The change would have a negative impact on drone hobbyists, as they would only be allowed to fly in the lower 200-foot corridor. Current regulations allow them to reach up to 400 feet up in the air, so high-flying operators likely won’t be happy to see their range cut in half. That rule dates back to 1981; current regulations were made with aircraft led by individual pilots and flight crews in mind, and Amazon believes they don’t apply to current airspace complexity. With drones rapidly becoming more popular, that airspace is likely only to become even more complex; the company says a ‘paradigm shift’ is necessary to safely accommodate a fleet of unmanned vehicles. Of course, Amazon has to face many challenges before its drone delivery dreams come to fruition, and more research is necessary to assess potential safety concerns. Still, the company may have enough power and clout to help create the regulatory shift needed for delivery drone shipments to actually happen.